A LONG DECEMBER by Richard Chizmar and Stephen King Revisited News! Just a heads-up, Richard has been busy writing his own stories these past couple of months, but Stephen King Revisited will be busier than ever in 2016 with more great essays and memories — and at least one more contest with a SIGNED Stephen King book as the grand prize!! Remember, you can follow Richard on Twitter for his personal updates and other posts of interest to readers and collectors and Stephen King fans! I’d be preaching to the choir if I said one of the most enduring traits of Stephen King’s fiction is the realism of his characters, and how we can all relate to them. Sure, most of us have never been trapped inside a broken-down Pinto while a rabid St. Bernard tries to get in and swallow us whole. We’ve never tried to assassinate a politician because a precognitive vision showed us his true nature. It’s probably safe to say that very few of us have crossed paths with a lonely widow who carries not only a dangerous obsession with a fictional character but also an ax and a blowtorch that she’s been itching to use for some time. Something a little different this time around. 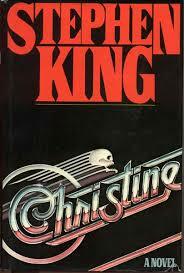 Peter Crowther, head honcho of the magnificent PS Publishing – look em up on the internet, folks; you’ll thank me later – was kind enough a couple years ago to ask me to write the Afterword for his special anniversary edition of Stephen King’s Christine. I was flattered and thrilled—and scared to death. But, of course, I said yes. I’ve decided to reprint my Afterword here in its entirely. Not because I’m being lazy, but because it covers my reading experiences regarding Christine in significant detail—and brutally-honest emotion. (Okay, maybe I’m being just a tiny bit lazy—but I really like how the Afterword turned out, and I’m doubtful I could improve on it very much in a new essay). The book was written in the late 70s (the same era during which the novel is set), before King spent time in the greater Pittsburgh area working on Creepshow, but its location is an homage to his friend, director George Romero, to whom the book is dedicated. King decided to use a 1958 Plymouth Fury because they were “the most mundane fifties car that I could remember,” he told Randy Lofficier. He didn’t want to use a vehicle that had a legend already attached to it. How To Receive FREE eMail Updates About Stephen King Revisited! 1) Go to http://www.StephenKingRevisited.com — if you’re reading this post on the website, you’re already here! 4) Click on the confirmation link you will receive via email within a few moments. Otherwise, you won’t really be subscribed! Thank you for coming along on this journey with us! How You Can Help Stephen King Revisited! A lot of readers have been asking how they can help Stephen King Revisited. First, let me say that we really appreciate all of the support the site has already received from readers, fans, and collectors of Stephen King’s work. Everyone contributing to this site is doing so because they love King’s writing as much as you do. 1) Spread the word on Facebook and Twitter. If you can share or retweet our posts, that’s great. If you want to post something of your own to your friends, fans, and followers and include the StephenKingRevisited.com link, that’s awesome, too. Anything you can do to spread the word will be a huge help! 2) POST COMMENTS on the essays we post here on the site to let our writers know you’re reading them. You can always find the complete list of posts on the Stephen King Books In Chronological Order page. 3) Finally, you can follow Richard Chizmar on both Facebook and Twitter for previews of upcoming posts and other information of interest to readers and Stephen King fans, which you could then share with others if you wanted. Thank you again for all of the support and love you’ve shown Stephen King Revisited. We look forward to many more years of posting about the King of Horror’s work! It was Christmas 1982. I had just turned seventeen four days earlier and was looking forward to my final semester of high school…and then college. But, first, I had two weeks off and couldn’t wait to do absolutely nothing. 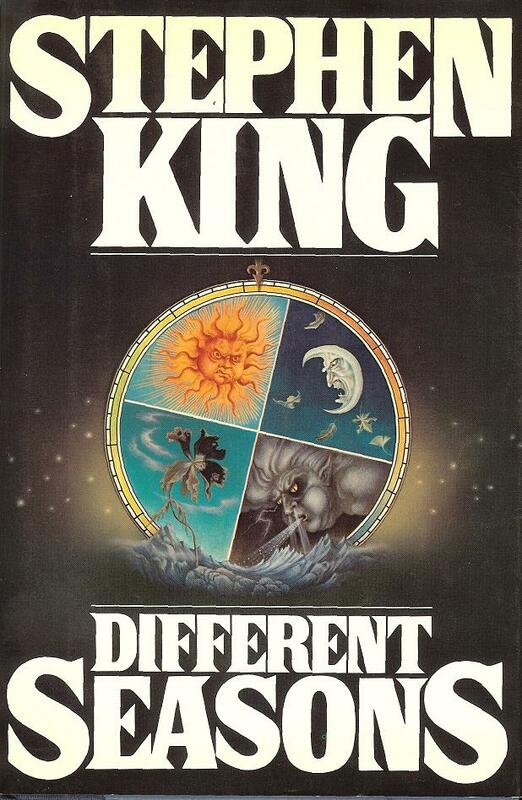 I can’t remember what Santa left under the tree for me that Christmas, but I do remember what my sister Mary surprised me with: an inscribed (by her; not King) hardcover copy of Different Seasons. Of course, I was thrilled and grateful and dove right in. I remember opening Different Seasons and scanning the promo copy for “Rita Hayworth and Shawshank Redemption” on the inside dust jacket flap—the most satisfying tale of unjust imprisonment and offbeat escape since The Count of Monte Cristo—and feeling just a bit underwhelmed. A prison story by Stephen King? Hmmm. Well, maybe the prison will be haunted, I thought. Different Seasons is a collection that contains only four tales and, with the exception of “The Breathing Method,” there is nothing remotely supernatural in them. None of the stories had been previously published. That may not seem unusual now, but at the time it was something of a departure for King. The publishing landscape was different in 1982. In his lengthy afterword to Different Seasons, King bemoans the sad state of the novella, that peculiar form of fiction that falls between longer short stories and shorter novels, tales in the 25-30,000 word range. This is a territory King called “an anarchy-ridden literary banana republic.” Nowadays, there are more opportunities to publish novellas, especially in the small press. Even “The Mist,” a later novella, was published as a standalone book from one of the big houses as a movie tie-in. 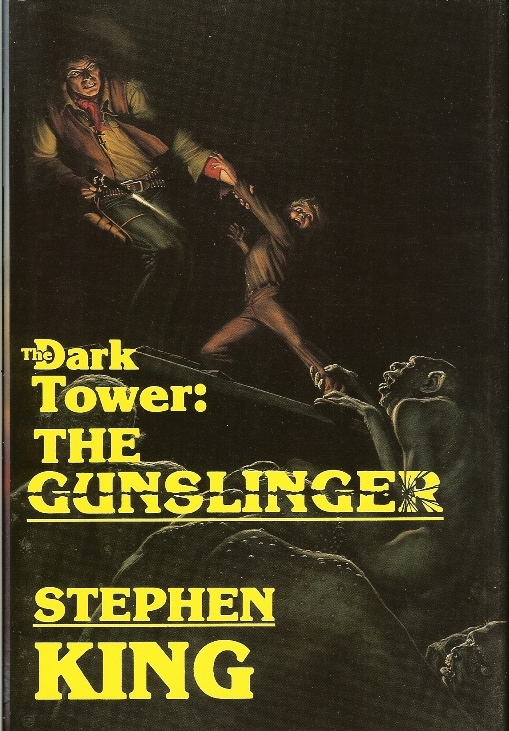 For a lot of people, The Gunslinger has been a barrier to entering the Dark Tower series. Not so for me. When asked to name my favorite book in the series (and I’m very bad at picking favorites of anything), I usually fall back to this one. It was the first, and for a number of years it was the only. I was like a lot of people in that I didn’t know anything about this book until I saw it listed at the front of Pet Sematary among King’s other works. I’d only been reading King for four years at this point, but I was hopelessly addicted. I had already written him a fan letter and received a bibliography from his office, which I kept folded in my wallet for any time I went to a used bookstore so I could track down uncollected stories, essays and interviews. Once I began my quest for The Gunslinger, I must have driven those poor bookstore owners crazy. The guy who owned my favorite, Back Pages on Queen Street in Halifax, said he thought he might have heard of the book, but didn’t know how to get a copy. I pored over the Books in Print catalogs (remember those?) in other bookstores, hoping the book would magically appear from one week to the next. I tried to get the Halifax Public Library to track a copy down. No joy in H-ville. An admission: despite being a lifelong Stephen King fan, I didn’t read The Dark Tower series until just about ten years ago. I know, I know—I should be ashamed of myself. To make matters worse, the long delay made absolutely no sense. I loved Stephen King books. I devoured each new title as soon as they were published. I loved westerns. Especially movies like The Good, The Bad, and The Ugly. Butch Cassidy and the Sundance Kid. The Wild Bunch. The Unforgiven. And, of course, I had read and heard all the rave reviews (especially from trusted readers, Brian Freeman and Bev Vincent). Heck, I had even published a bunch of those reviews in Cemetery Dance. But for some reason, I still wasn’t sold on The Dark Tower.